Last week, the Ode Street Tribune's journalist stumbled upon the Grump holiday arts and crafts sale at Artisphere. It was a great opportunity for some special shopping. 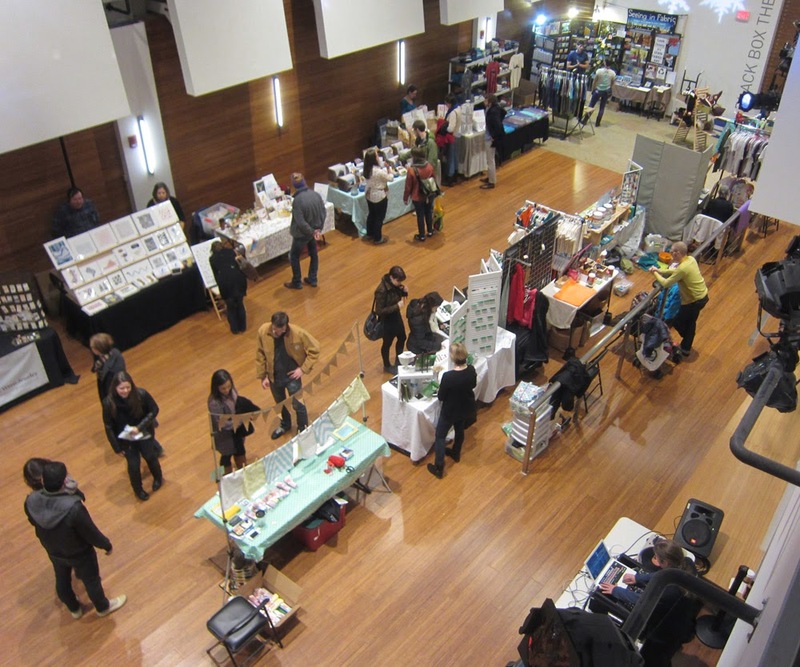 Whether you missed or made that special sale, don't miss the special holiday market this coming Friday in Rosslyn. Put the piece of chocolate on your tongue and let it slowly melt–don’t chew it. While it melts, pay attention to the texture: is it smooth, too smooth, a little gritty? Also, note how the flavor develops. Some chocolate is relatively simple, with one flavor throughout–while others will have distinct tastes at the beginning, middle and end. Is it fruity, bitter, earthy? Does it change as it melts? Does it linger after it’s gone? Eating fine food is like reading a fine news source: it must be savored. Remember that at this Friday's holiday market in Rosslyn. Unfortunately, Potomac Chocolate apparently will not be at this Friday's market. About seventy stores in the region sell Potomac Chocolate. The Tribune asked Potomac Chocolate owner Ben Rasmussen what store in Rosslyn sells his chocolate. With great shame, he acknowledged that none does. The Tribune's journalist demanded an explanation. Rasmussen countered with the question, "What store in Rosslyn would you like to see selling my chocolate?" The journalist's minded raced in silence and then he muttered some business boilerplate about wanting to do focus-group testing. After extensive interviews with Rosslyn residents, the answer is obvious: Miracles by Olympia.